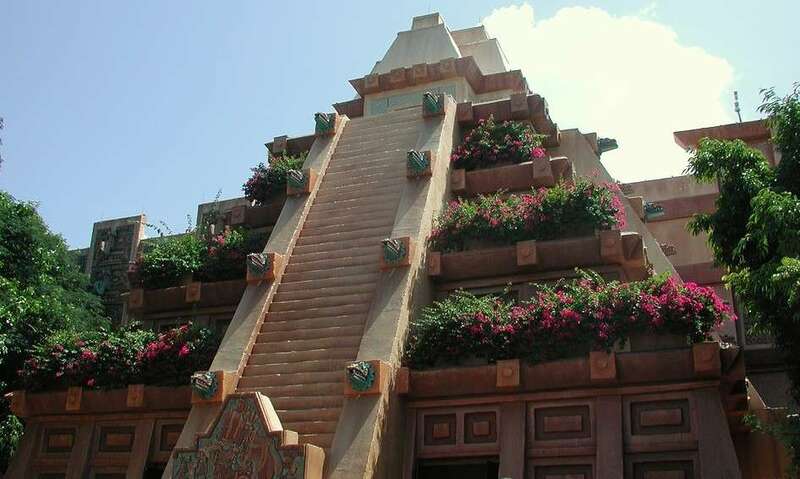 Jason with some cool info about the Mexico Pavilion located at Epcot! The temple that is the main focal point of the pavilion has steps going up to the top, however there is huge piece of art at the foot of the steps. When EPCOT first opened their doors in 1982, the piece of art was not there. It was added quickly as many people would climb the stairs to get a great view. So if you look at the art and think it just doesn’t quite fit, that’s because it wasn’t supposed to be there!